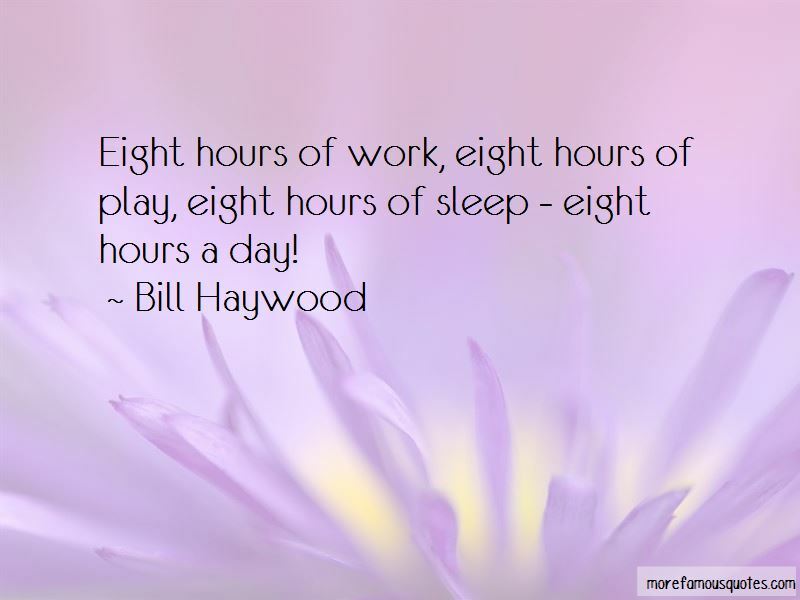 Enjoy the top 8 famous quotes, sayings and quotations by Bill Haywood. 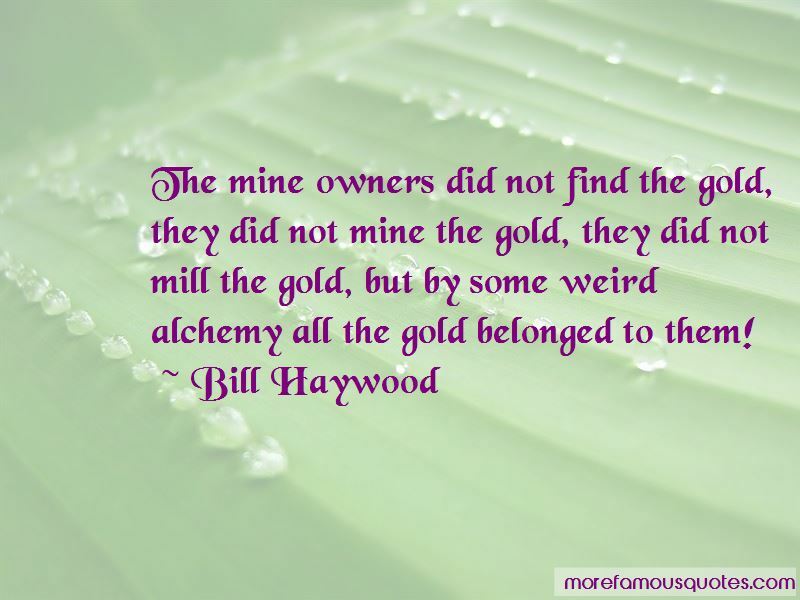 The mine owners did not find the gold, they did not mine the gold, they did not mill the gold, but by some weird alchemy all the gold belonged to them! 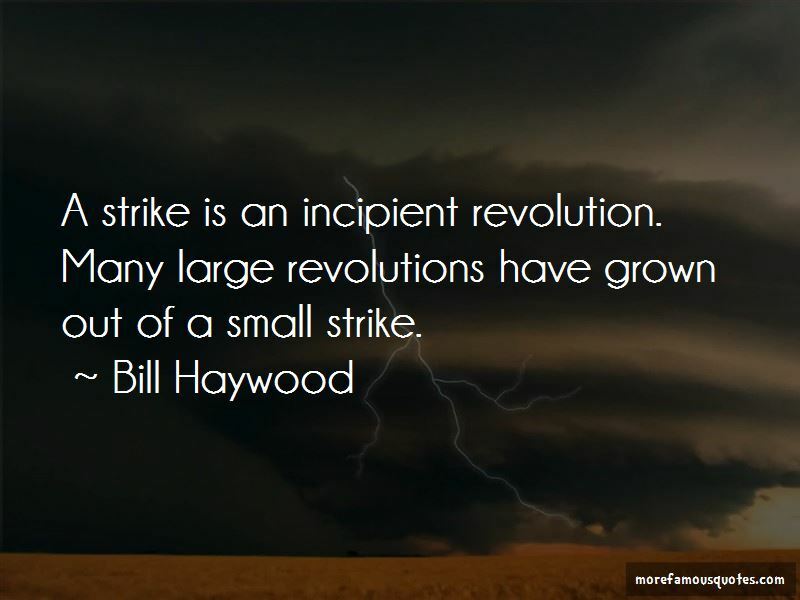 A strike is an incipient revolution. Many large revolutions have grown out of a small strike. If the workers are organized, all they have to do is to put their hands in their pockets and they have got the capitalist class whipped. 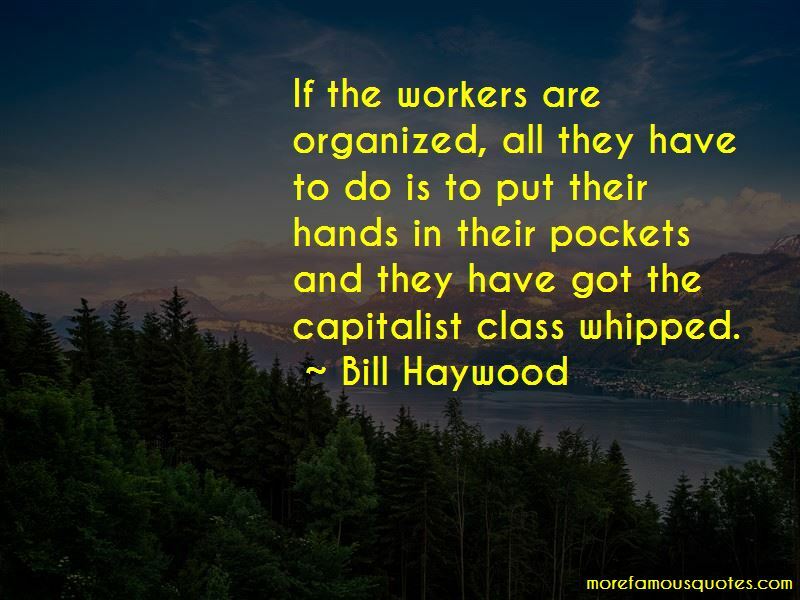 Want to see more pictures of Bill Haywood quotes? Click on image of Bill Haywood quotes to view full size.